So proud to see "Chasing Challah in Mumbai", my first story out of India published in the Jewish Daily Forward today. 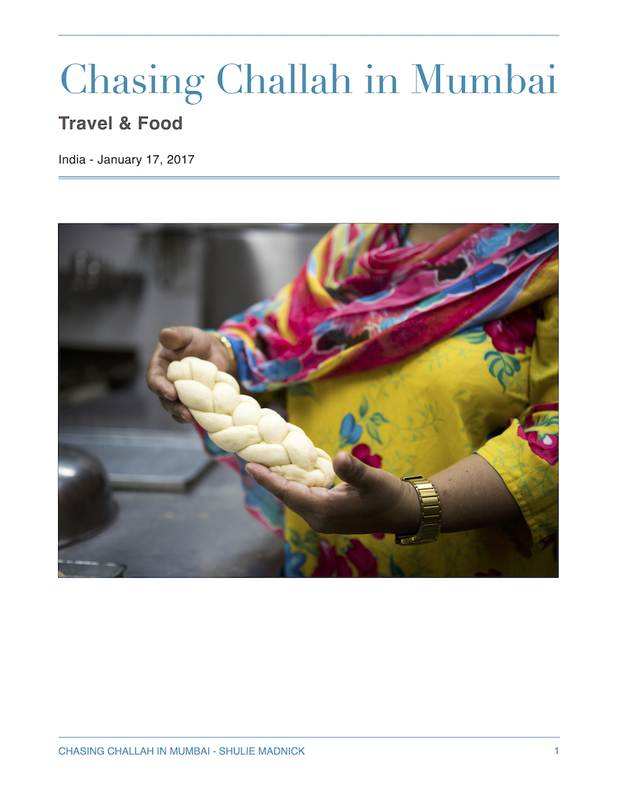 Who would have thought chasing challah in India, out of all places, right?! My last post "Saffron, Turmeric, Curry Leaves, Cumin & Black Mustard Seeds Honey Challah" was inspired by this story and my travel experience. The story illustrates not only the life of the Jewish community in India today but also the ever-changing food culture and traditions. I hope you enjoy reading the story as much as I enjoyed writing it.